Discussion in 'SMB' started by Son of Stan, Mar 31, 2019. Only problem with that is that in the last series they said H had promoted Dot and Hargreaves isn’t high enough to do that I don’t think. jubblies, Casper, Arkle and 1 other person like this. Hastings was too obvious IMHO. hudson88, Arkle and Two million voices like this. Who's the woman in the green dress? That’s Gill the solicitor who was in series 3(?) I think. janiep and West_Winger like this. They already did the “Steve being framed” storyline in series 2. Oooh this shits going to get really ugly , and Ted is a bit dodgy but I don't think he's THAT dodgy. Yep. He'll be pushed down a stairwell next week then forced to watch as Lindsay Denton's cat is brought back to life then put down again. 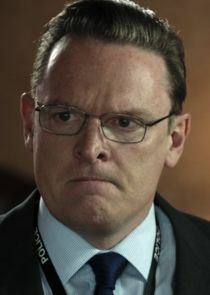 Starting to think I should have maybe rewatched the earlier series as I’m struggling to remember Hargreaves. Fusco, sonson, hudson88 and 4 others like this. I reckon H is the masonic lodge they all go to. I still wanna know if Gina Mckees body is still in that lads freezer. Arkle and The Rat like this. I reckon H is going to be Kate. She's a CatHerine/KatHerine/KatHryn. West_Winger and Fetch Fletch like this.